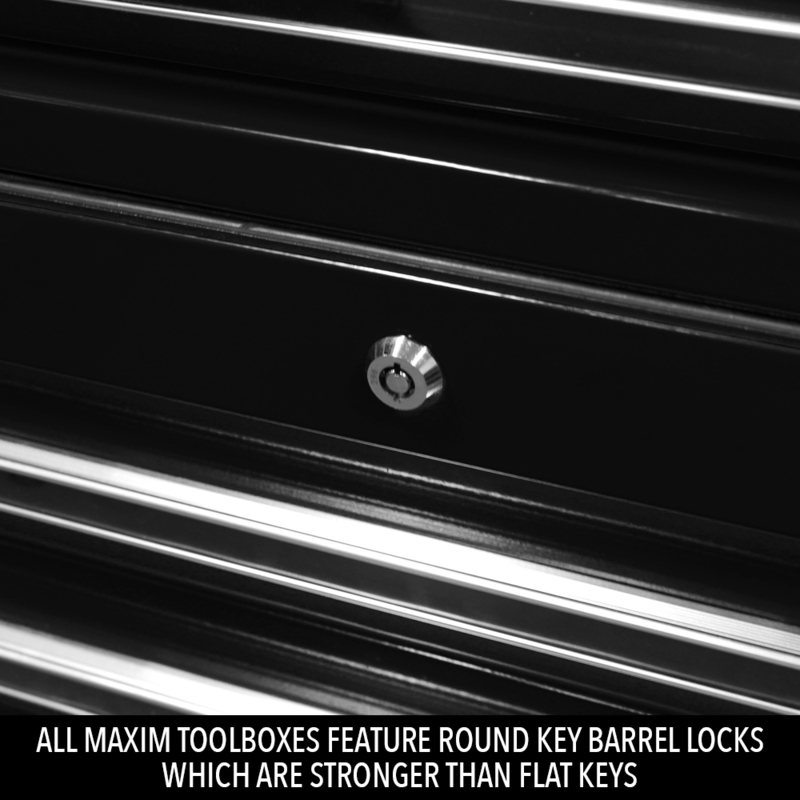 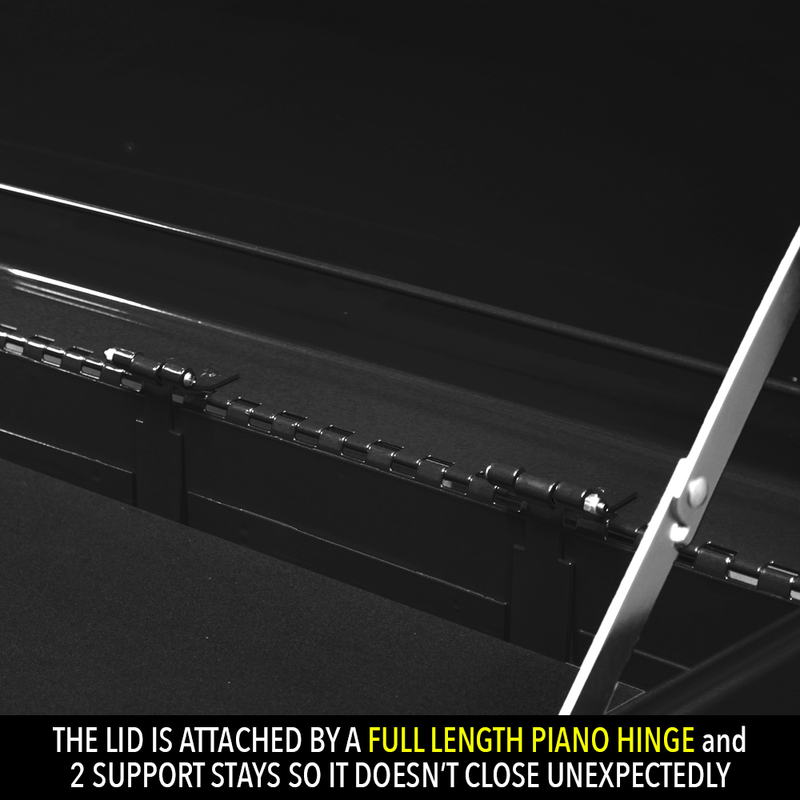 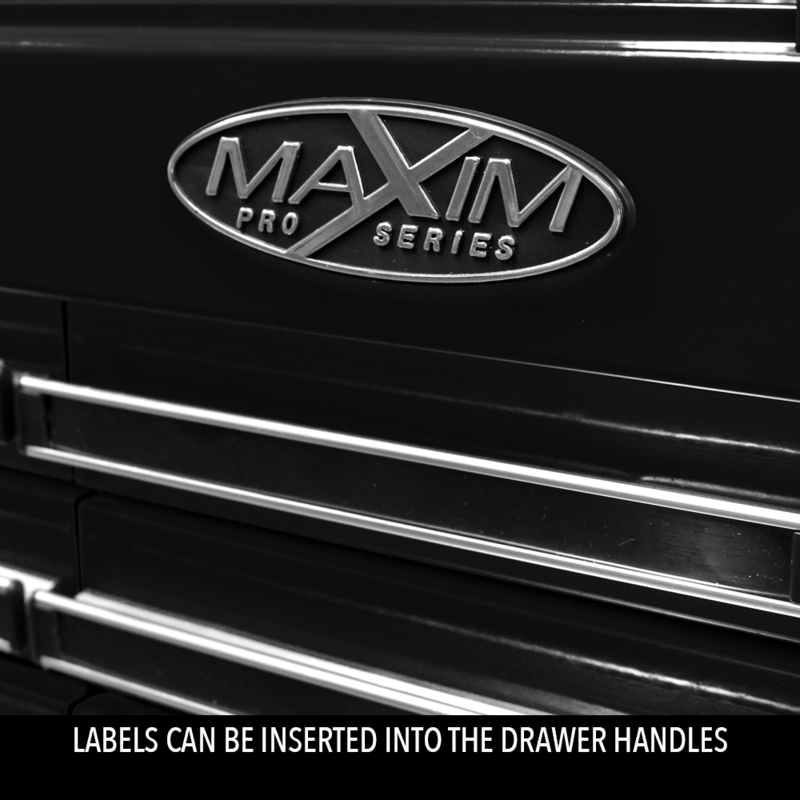 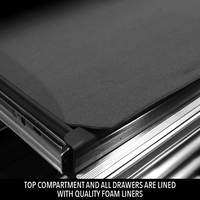 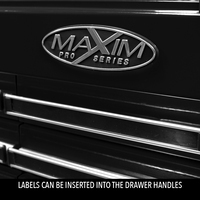 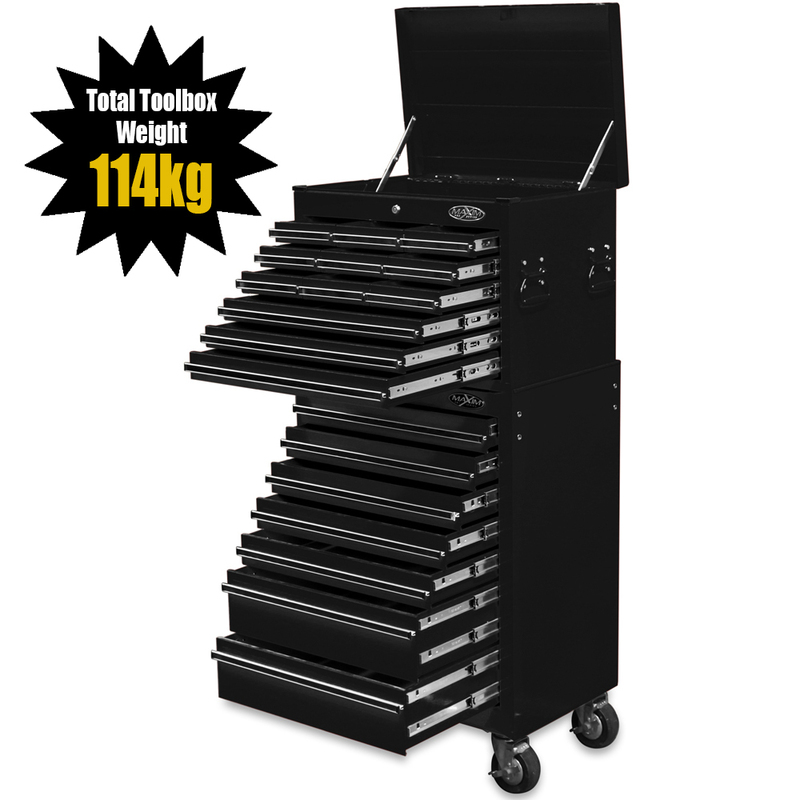 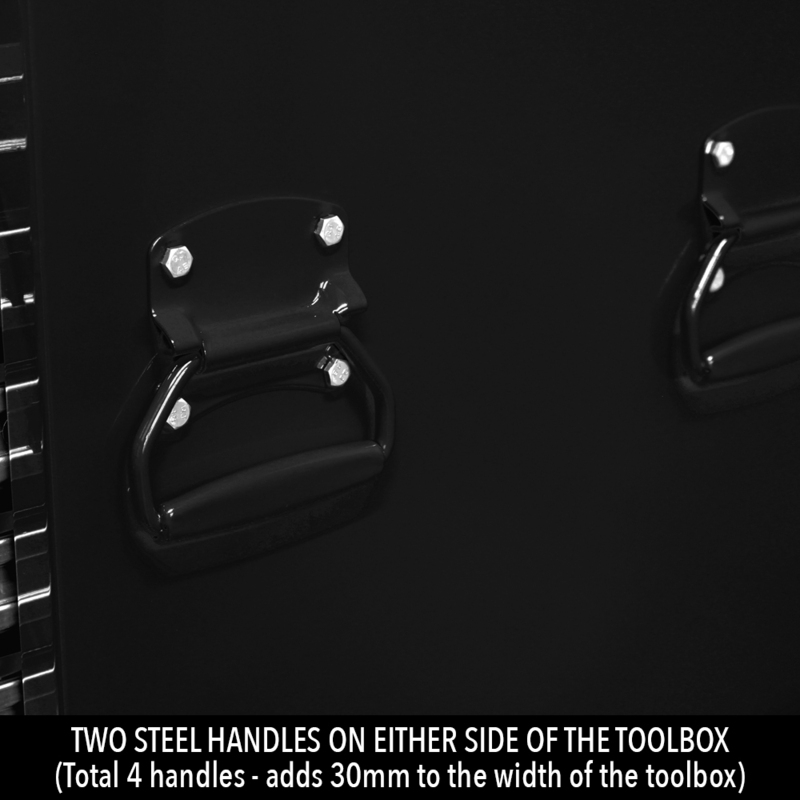 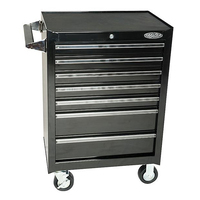 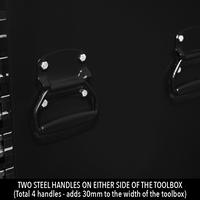 MAXIM Black 19 DRAWER COMBINATION consists of the 12 Drawer Top Chest & the 7 Drawer Roll Cabinet. 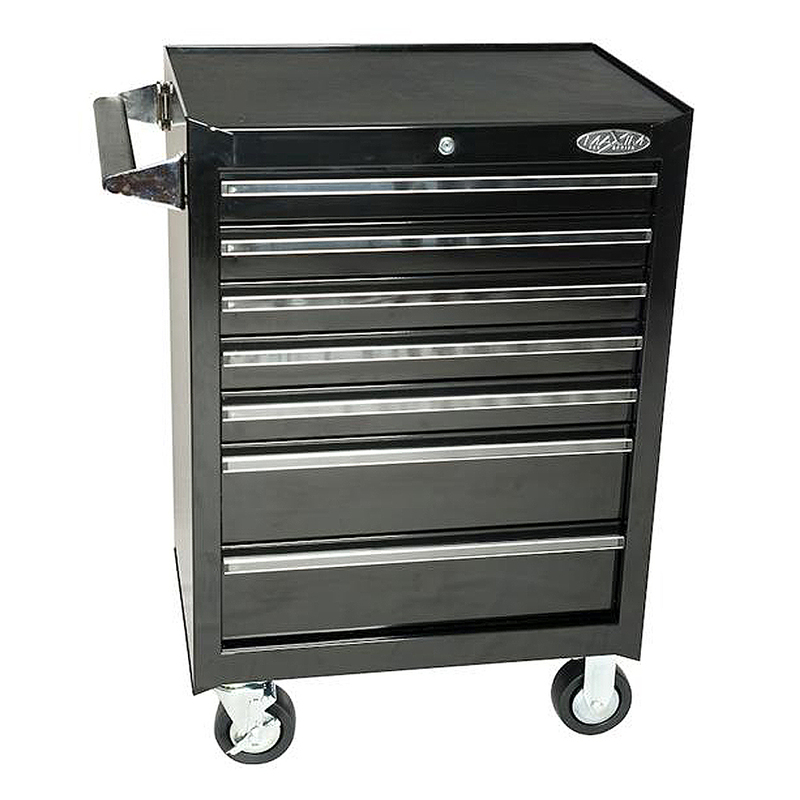 Constructed with a twin steel wall outer shell then coated with a rust & solvent resistant powder coat with a high gloss finish. 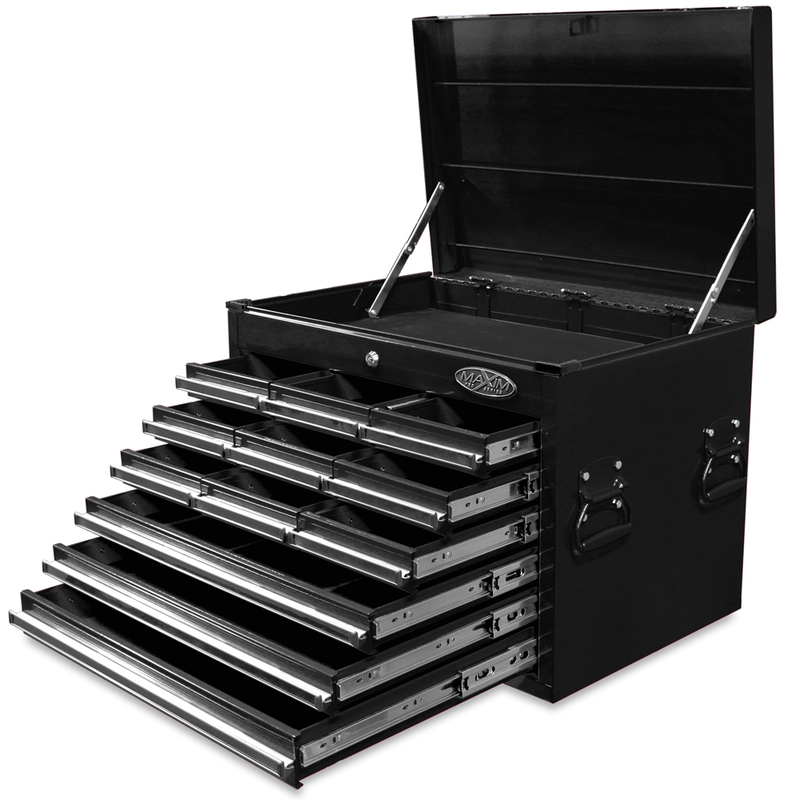 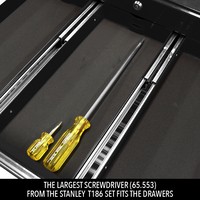 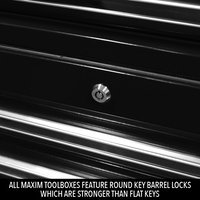 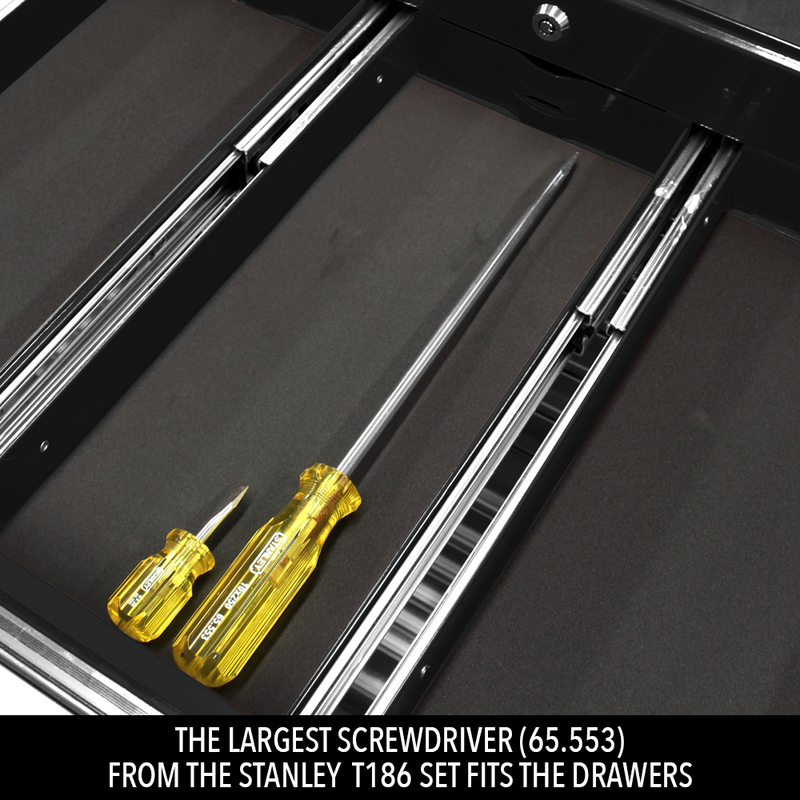 High Rated Tool Box.